I have worked with hundreds of clients who are looking for help because they are unsure of what they want to do, they are currently unhappy in their work or they are facing a major transition, which often they did not see coming. Any of these situations can cause stress. 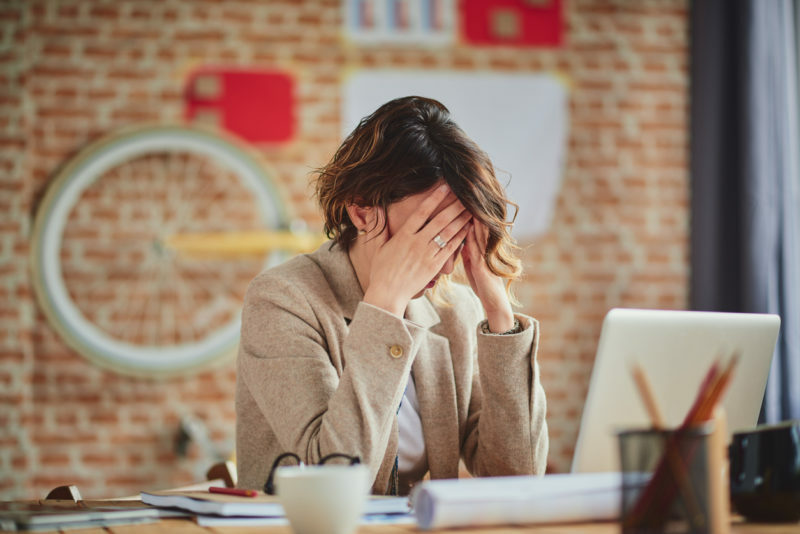 Illness – when you are unhappy in your job, or struggling to figure out what you want to do, the resultant stress can compromise your immune system. This in turn can make you more prone to getting sick. Not only does this mean catching the cold and flu more easily, but the ongoing stress of being unhappy can have long term effects on serious illness, such as heart disease. Mental Health – when we are stressed at work, our mental health can be adversely affected. Increased anxiety, feeling down and possible depression can be the result. One study in 2011 found that it was better for mental health to be unemployed than in a bad job! Weight Gain – whether due to eating more to alleviate stress, exercising less due to lack of energy or not having the energy to make good food choices, being unhappy in your role can result in gaining weight. Lack of sleep – worrying about work can impede sleep – often in the middle of the night! It is well documented that sleep is an important precursor for increased brain functioning, memory, creativity, being able to learn, better physical health and being more productive. While you are sleeping, your brain is preparing for the next day. It’s forming new pathways to help you learn and remember information. So lack of sleep due to worrying about what you want to do, how unhappy you currently are or what you are going to do next, can seriously affect your functioning during the day. Negative effect on relationships – if you are unhappy in your job, do you leave it at the office? Very unlikely. When we are under stress for a particular reason, it often becomes the main focus of our life – we talk about it constantly with our family and friends. The inability of our family and friends to be able to do anything to alleviate the stress can cause a strain on relationships, as there is only so many times that our once sympathetic allies may want to listen to the same story. I wish that I could have seen many of my clients BEFORE they have stuck it out in a job that they hated, or before they have struggled with not knowing what they wanted to do and then made a decision that was not right for them. Seeking help early on when things are not working is key. You will be in the best possible physical, psychological and emotional position to make good decisions for yourself, as well as have the energy and ability to tap into creativity to make them happen. If you can relate to any of the above job related stress impacts, then please seek help either from your GP, a counsellor or a career specialist. Your health is worth it! Contact me for further information.